Drawn from the wonderful work of YANKEETREX ON DEVIANTART. So my daughter loved Jurassic World. (My husband and I…not as much.) The velociraptors were by far her favorites in both Jurassic Park and Jurassic World, so I wasn’t surprised when she asked me to draw one for her. I chose Blue from the new movie, because I love blue duh. 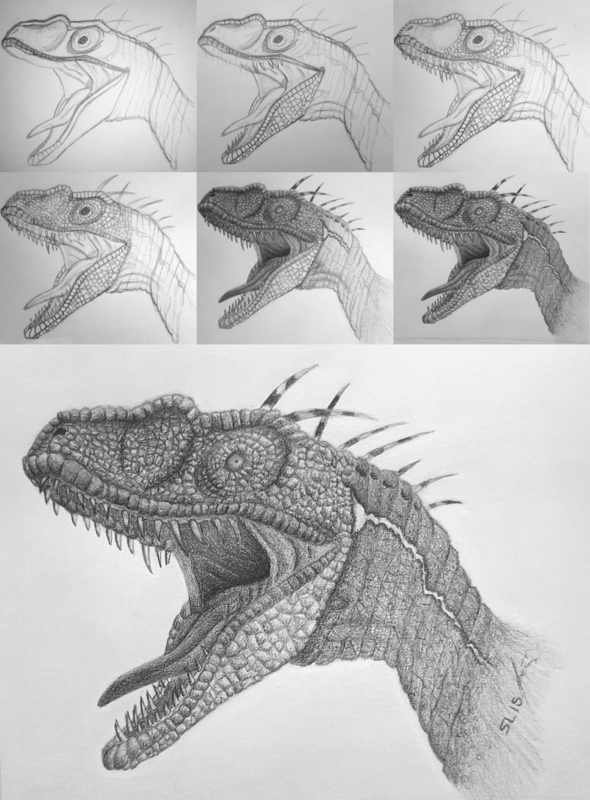 I found this guy on DeviantArt named YankeeTRex who does amazing concept art, and I drew one of his models in graphite.